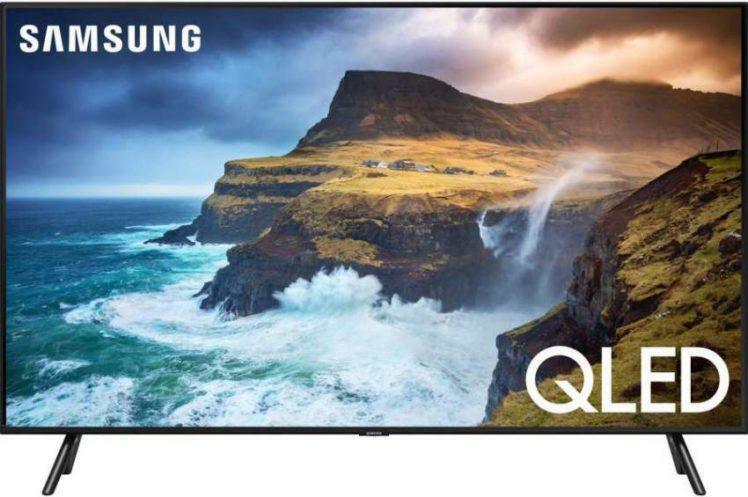 LG’s SJ8500 is part of their premium 4K LED TV lineup and offers very good picture quality whether it is displaying 4K, HDR or 1080p images, however this is also dependent on the viewing environments lighting conditions… more on this in the performance section below. 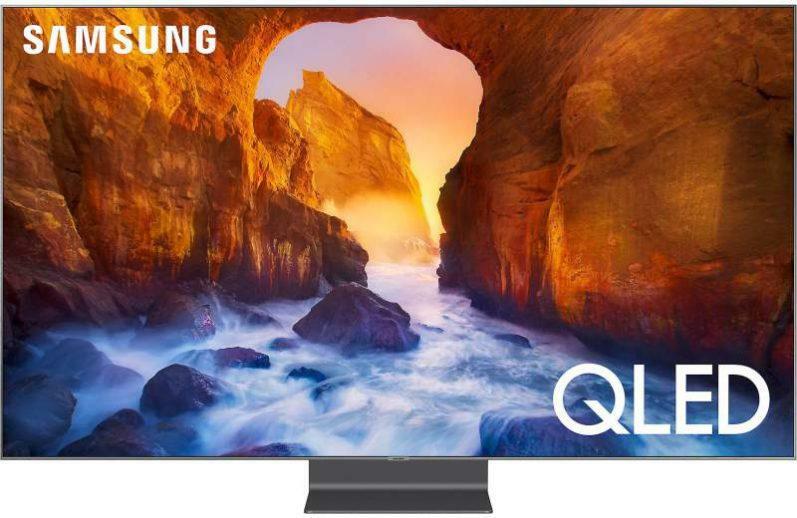 Additionally, LG’s excellent and latest webOS 3.5 smart TV on-screen menu system provides smooth and easy interaction with the SJ8500’s smart TV features. 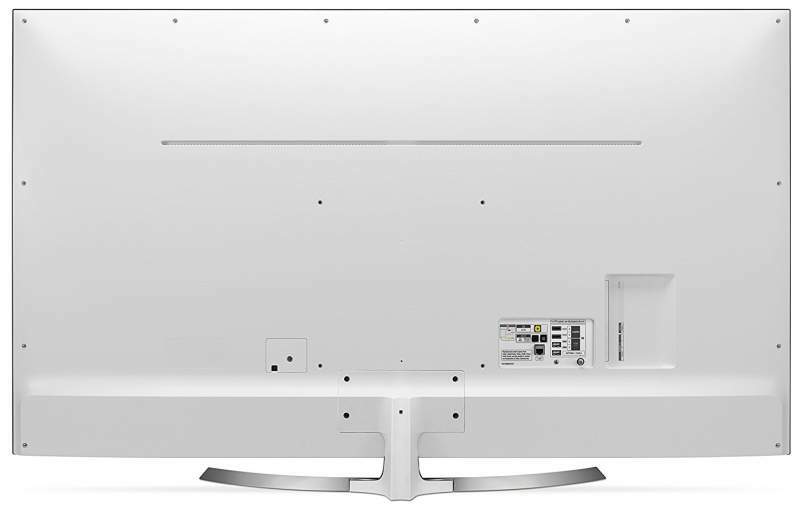 The SJ8500’s sleek and slim design is very pleasing to the eye and continues the trend of flat panel displays to be among the thinnest on the market. The edges of the TV’s screen are surrounded by very thin black borders that are highlighted with silver trim accents that run along the outer edges of the screen. The SJ8500’s screen contains a semi-gloss finish and is illuminated with edge-lit LED backlighting. As with last year’s UH8500, this latest model also has a white plastic back panel which is quite attractive. It does however, feel a bit cheaply made when touched. I did like the attractive curved/pedestal stand which gave the TV decent support, yet made the display panel feel a bit wobbly when I gently rocked it back and forth. This wasn’t an issue since the TV was in danger of toppling over. The excellent Magic Remote remains mostly unchanged from last year’s with basically the same functionality (including Natural Voice Recognition) and button layout, with the exception of a few worthwhile added buttons… namely Amazon and Netflix. I’d also like to mention that the 3D button as been omitted from the remote since the SJ8500 doesn’t offers 3D capability. LG’s smart TV platform has been updated to webOS 3.5. This latest version continues to bring together all of the most popular streaming video apps, including Netflix and Amazon plus many more, some of which offer content in 4K and HDR. Nano Cell Display – The latest evolution of the LCD panel with the Nano Dot film delivers deep black expressions for rich, natural shadow detail and colors that are truer to the original image, even at wide viewing angles. As I mentioned at the beginning of this review, the SJ8500 delivered very good picture quality when viewed with certain content and room lighting. In a room with moderate to fairly bright lighting (no direct light) and while watching content that doesn’t contain dark scenes, the picture image was very pleasing. Colors were rendered with enough richness, vibrancy and accuracy, which gave me the impression I wasn’t losing much where solid color performance was concerned when compared to higher end TVs with better color performance. Nevertheless, the TVs wide color gamut capability still did a good job, effectively rendering color reproduction that was readily apparent when viewing HDR content. Furthermore, HDR content looked good on this TV. Although not the best I’ve seen, I was still satisfied with the limited contrast extension I experienced with this TV, which was apparent in bright highlights. I was also pleased with the increased picture detail that was present in HDR content. Detail and clarity were very good with all HD content. Images appeared sharp and very clear with excellent image depth and transparency. Contrast and black levels – this is where the SJ8500 falls a bit short in its performance when viewing dark picture images. While viewing this TV in a dark room, these types of images won’t appear very dark. Blacks look grayish and a bit washed. This is due to the IPS panel used on this TV. This however, becomes less of an issue when viewing dark content in a well lit room where black levels will appear to look much deeper on this TV. Black screen uniformity accounts for how well a TV performs on a totally black or very dark screen. If any light output is present on the black screen, the TV has an issue with its backlight and screen integrity. Furthermore, black uniformity can be a bit more problematic on TVs with IPS panels. The SJ8500 did have screen uniformity issues where I did detect visible light bleed along some of the edges of the screen. The severity of this and other uniformity issues such as flashlighting and clouding can and will vary from TV to TV, even on the same models. Side angle viewing was good when compared to the typical performance you get on most VA panels. However, I was a bit surprised at the amount of picture dimming I experienced on the SJ8500. Usually I have seen better performance from LG TVs using IPS panels that I have reviewed in the past. With that said, this TV is still a decent choice if you plan on having room seating placed at wide angle from the TV. Motion handling was very good on this TV. And regardless of the type of fast action content I viewed on this set, I could not detect any motion artifacts. I was impressed. The sound quality from the harmon/kardon designed speaker system was above average for what I’m used to hearing from your typical flat panel TV. The sound was more open and spacious and a bit more full-bodied. Bass output, however, was very limited with no real impact or punch. 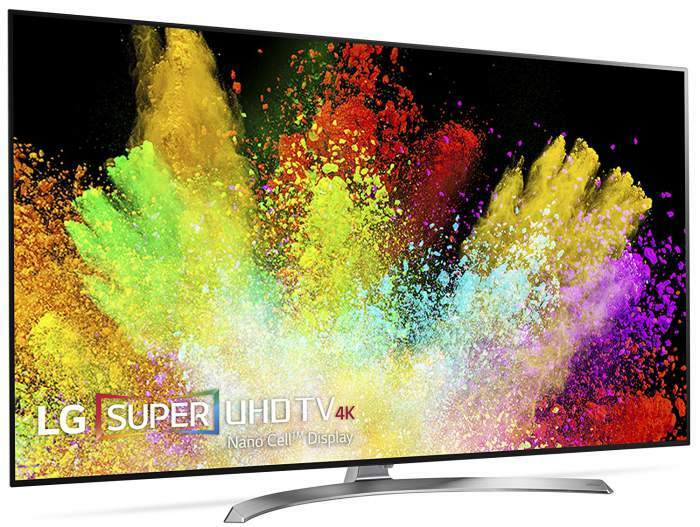 LG’s 55” SJ8500 is a good 4K smart TV that offers solid performance and features. Its overall picture quality is respectable, with its only true drawback lacking the capability to provide great contrast and deep black levels. This deficiency should only be an issue in a dark room setting. 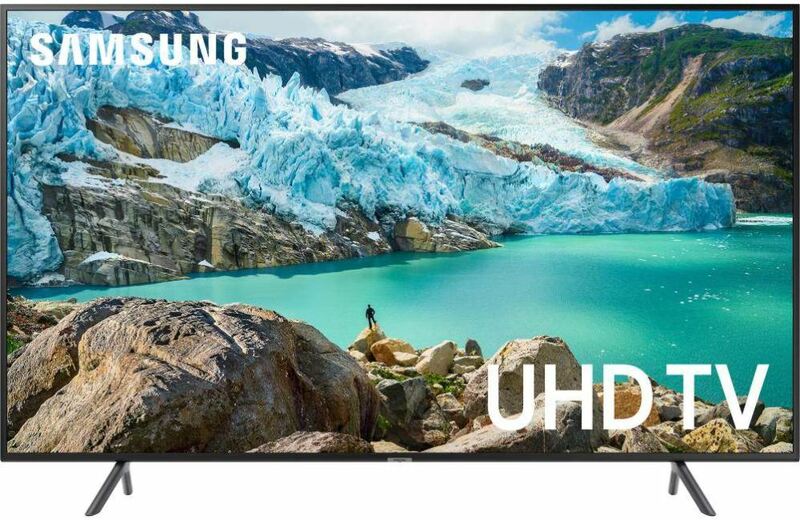 Its latest and updated webOS 3.5 smart TV platform continues to be among the best in the industry while offering a great home entertainment experience. 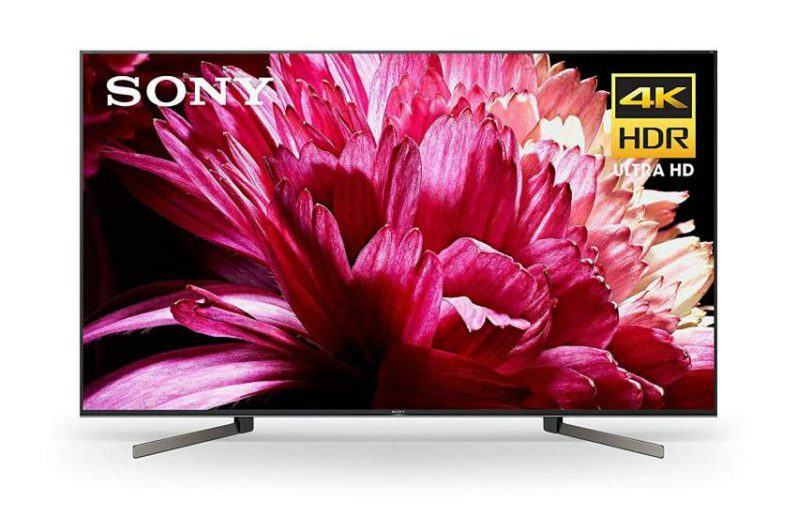 So, if you’re not concerned about seeing the deepest black levels in content you are viewing in a dark viewing environment, then you may want to consider the SJ8500 as one of your 4K Ultra HD TV options to obtain. •	With stand: 43.0 lbs. •	Without stand: 39.9 lbs.